The Jacksonville University (JU) Linda Berry Stein College of Fine Arts (LBSCFA) had an unprecedented holiday season. First came the renaming announcement for the College on December 7. Then came exciting news from the Kennedy Center American College Theater Festival (KCACTF). Two JU productions will be honored at the Region IV Festival this week. 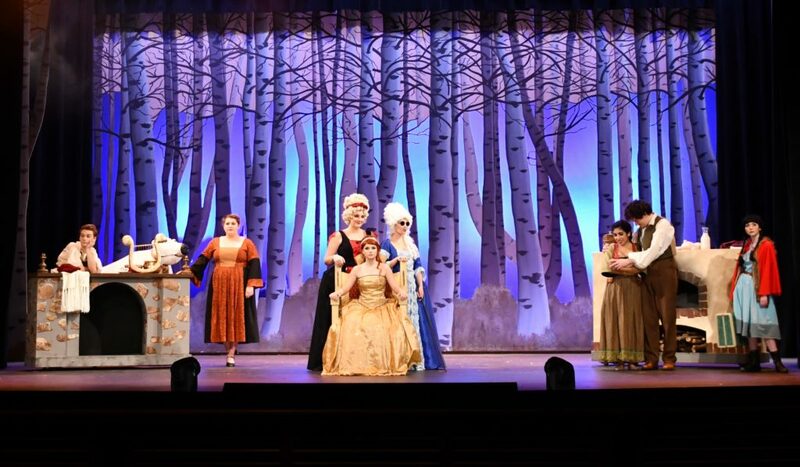 String, directed by Assistant Professor of Theatre Erik DeCicco, and Into the Woods, directed by Director of Vocal Studies Dr. Kimberly Beasley. String will be performed in its entirety during the four-day festival. 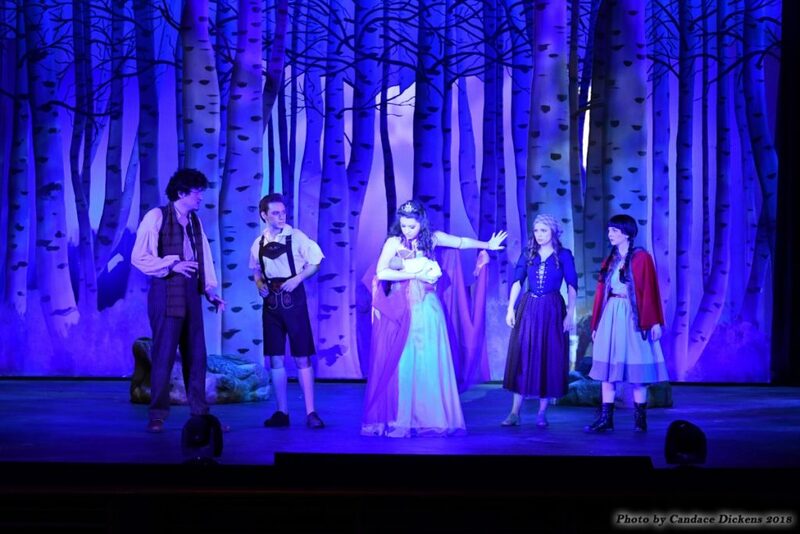 The Into the Woods cast has been invited to perform select scenes at the Festival’s awards gala. This marks the first time a JU production will be performed before the illustrious KCACTF audience and the College has scored a double. For roughly half a century, the KCACTF network of more than 700 academic institutions has worked to enrich and improve the quality of college theater in America. For this year’s Regional Festival, top student performers from Florida, Alabama, Georgia, Kentucky, Mississippi, the Carolinas, Tennessee, Southern Virginia, Puerto Rico, and the Virgin Islands will converge at the University of South Carolina Upstate and Converse College starting February 5. The student-written, student-acted play was complemented by a thoughtful score—also composed by a JU student. Senior Music Theatre major Casey Gulledge captured the emotional core between the measures of his score and DeCicco, a 2005 JU alumnus, directed. Adorno’s script follows the story of a musician named Shakespeare. Between fighting to make something of his life, struggling with his brother Chris, and their Ma’s deteriorating health, Shakespeare plays on. His musicianship, on a guitar with a single string, becomes symbolic of his family’s plight. An invitation to perform and compete in Spartanburg isn’t the only recognition String has received in recent weeks. The inaugural 2018-2019 Student Research, Creative Activity and Scholarship (RCAS) program announced a $5,380 grant award to the String production team. This internal grant opportunity offered by JU’s Office of Research and Sponsored Programs was made possible through a grant from the Arthur Vining Davis Foundation. Student RCAS awards are competitive grants designed to assist graduate and undergraduate students in developing new lines of inquiry, collecting and analyzing pilot data, or exploring innovative forms of creative expression. For the team behind String, the grant made competing at the Festival a financial possibility. 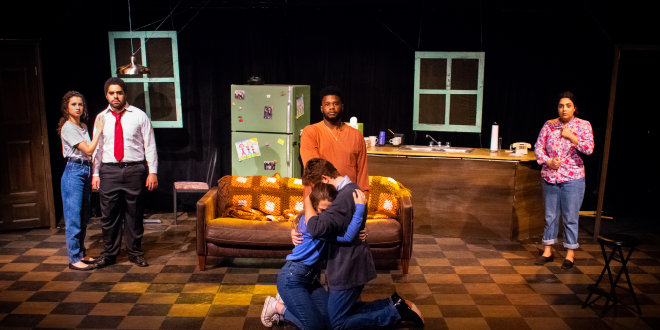 Several JU students involved with these productions have also been nominated for the prestigious Irene Ryan Awards. Nominees from both productions will compete at the regional level and possibly move on to national. This three-day process of elimination is what Beasley calls brutal. Only 16 students regionally will walk away with one of the coveted scholarships. Isabella Martinez, Kelly Wolfe, and Josh Andrews from JU’s Into the Woods are among the competitors for Excellence in Acting. 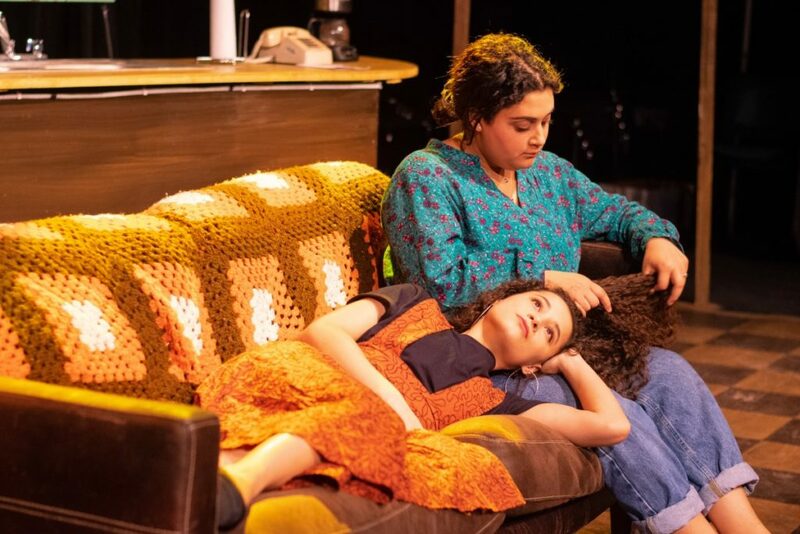 Martinez played the role of the Baker’s Wife and her delivery of “Moments in the Woods” drew positive and enthusiastic feedback from Kennedy Center officials. Wolfe, ironically in the role of Little Red Riding Hood, was reviewed as “perfect for the character.” Andrews, playing Jack, captured officials with a level of authenticity and audience engagement that could not be ignored. 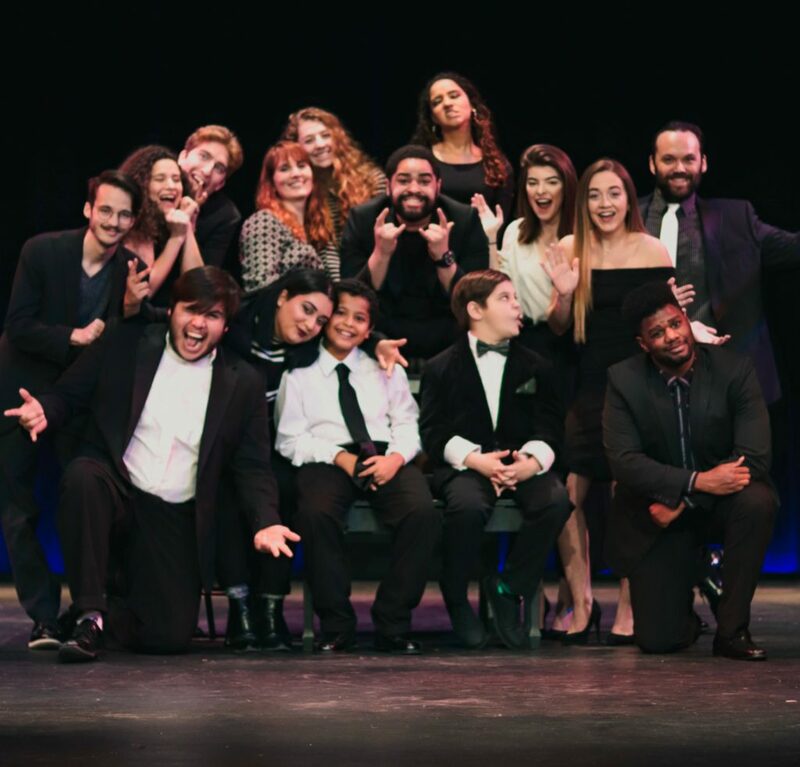 To be invited to perform scenes at the Festival Gala on February 9 was an honor extended to only four schools in the southeastern U.S. “Our students are thrilled to perform at the Festival after investing so much time and effort on the production,” Beasley said. Emily Pate, who played The Witch, was also nominated for Excellence in Assistant Directing, as she served both on and off the stage. The production’s lighting director, senior Austin Kelm, was nominated for Excellence in Lighting Design and will present a portfolio for adjudication at the Festival. As director, Beasley honed the dramatic elements of the story by breaking scenes down using pentads, a theory of dramatism invented by Kenneth Burke. She presents a workshop on her actor-directed staging techniques while at the Festival. Like their classmates in the world of Sondheim, String cast members Adorno, Zoe Rosas, and Nati Gonzalez were nominated for Excellence in Acting. Not to be outdone, several behind-the-scenes members of the production team are also competing next week. Catch select scenes of String during the annual Student Research Symposium April 2nd, at 12pm. All 2018-19 RCAS awardees will make presentations and members of the JU community are welcome to attend. For more details about the Symposium, contact the Office of Research & Sponsored Programs (ORSP).